The history of Bisley dates back to 1931, and since then it has become one of the world’s leading manufacturers of steel office furniture. It now owns two different facilities specifically used for manufacturing located in Newport and Bisley, which together occupy over 64,000 square metres of land. This company also operates a large showroom in London on Great Portland Street that shows off all of its office storage. Top quality and state of the art factories are located across Europe with a team of over 700 employees. The European factories of Bisley currently produce around 20,000 storage products every single week. They also use some of the most modern manufacturing processes, including the latest Computer Aided Design (CAD) and manufacturing (CAM) systems. This allows for furniture to be constructed with exact precision. Bisley also produce ranges of drawer units, two door cupboards, lockers and internal fitments. Each of these can be integrated into existing offices and workspaces. Offices can always use more storage space, which is where a large range of internal fitments can help. They can be designed and constructed to suit your individual requirements, such as placement, width, depth and height. The number of drawers built in is also entirely up to you. This allows you to keep unsightly documents out of sight, as well as keeping your desk and workspace clean and organised. Mobile shelving systems are fast becoming one of the most popular types of storage solutions, because of their efficient use of space. These shelving storage systems are available in a wide range of colours depending on the style of your office, tastes and budget. No two shelving systems are the same. Together Rapid and Bisley will work with you to find out exactly how tall or how wide you need your shelves to be. Over the past few years, desk integrated storage, “Bute” by Bisley, has grown to be a popular type of storage solution for many companies, particularly those who work in fast-paced environments and need to access information quickly. The most common type of desk integrated storage is fitted into the sides and underneath desks. They can also be installed with or without locks, depending on your employees needs for privacy. 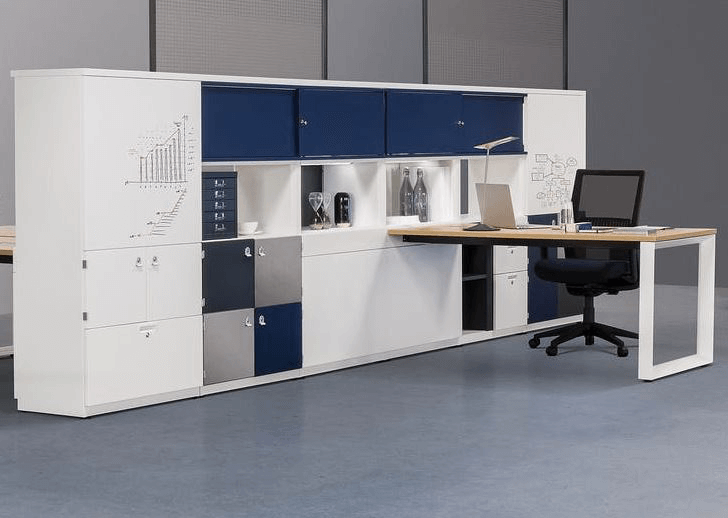 Each type of desk integrated storage can be designed to suit your exact requirements. 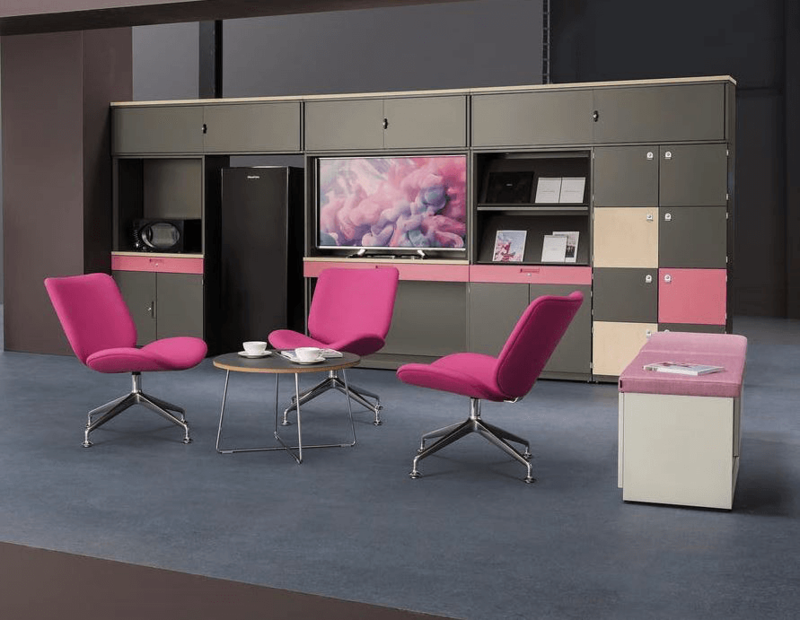 Bisley has gained a reputation for itself as being one of the best office furniture suppliers in London, as well as for having an outstanding customer service centre. Bisley are always happy to help. Before any work is undertaken, contract signed or money exchanged, Bisley will consult with Rapid about any specific requirements your design needs, and then they will calculate a price based on what suits your budget. Here at Rapid Office, we have an excellent relationship with Bisley. Contact us now for professional service, expert knowledge of the office furniture industry, and the latest products from this manufacturer.